Kentucky's two land-grant universities, the University of Kentucky and Kentucky State University, serve as partners in conducting educational programs through Cooperative Extension. The program delivery process involves Extension faculty, county agents, advisory council members, volunteer leaders and the general public. Kentucky Cooperative Extension is the educational resource for all Kentuckians that serves as a catalyst to build better communities and improve quality of life. The mission of the Powell County School System is commitment to preparing and inspiring all students to be life-long learners who are self sufficient, responsible and productive members of our community. In order to fulfill this mission, we wish to partner with our parents. Please visit our new website often to find helpful links and news. The Powell County Health Department is committed to serving the public health needs of Powell County. Located at 376 North Main Street in Stanton, our office provides a host of services and programs designed to assist the public in staying healthy. In addition to clinical services, the Health Department offers counseling, epidemiologic, disaster response, and environmental services. To make an appointment or discuss one of our services or programs in detail, call (606) 663-4360. Welcome to Powell County, Kentucky! Nestled between the Appalachian Mountains and the Bluegrass, we are located in one of the most scenic areas of Kentucky. Outdoor Adventure abounds here with over 80 miles of hiking trail voted the best places to hike in Kentucky in the Red River Gorge, the Natural Bridge State Park and the Pilot Knob State Nature Preserve. We are also home to hundreds of miles of breathtaking Cycling Routes, one of the world's premier Sport and Traditional Climbing destinations and miles of Canoeing or Kayaking on Kentucky's only Wild and Scenic River. The library is a Workforce Center. We now offer free resources to help you find a job, including computer classes. Call or come in for more information. The Powell's Valley Water District was established in 1967. The Powell's Valley Water District Sewer Division was established in 2003. The Powell's Valley Water District and Sewer Division is governed by three Commissioners. 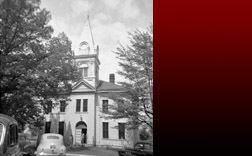 The Commissioners are appointed by the Powell County Fiscal Court. The Powell's Valley Water District services rural customers in Estill, Powell and Montgomery Counties. Welcome to Red River Gorge Online. 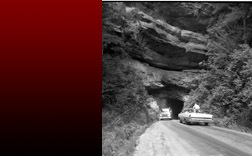 This website will cover basic information including directions, parking, lodging, activities, and also information pertaining to the sensitive habitat of the Red River Gorge Geological Area, the Daniel Boone National Forest, and endangered species in the area. This website should inform and make your next trip to the Red even more enjoyable. The Kentucky zipline is here! Red River Gorge Zipline offers five lines ranging from a few hundred to over 1,900 feet in length. Participants wear a harness that is attached to the zipline and travel through trees and across the Gorge. Our Canopy Tour has 5 Ziplines anywhere from 330FT. to 1900 FT. The tour is between 2-3 Hours. The last 2 lines are Dual Racing Zips that allow you to race at speeds up to 50 MPH soaring 250Ft over the Gorge. We invite you and your family to come out and experience this truly unique adventure. Welcome to Cliff View Resort where you will find all the amenities necessary to make your next special event a memorable one. Cliff View Resort, located in eastern Kentucky, is situated next to the Red River Gorge and Daniel Boone National Forest. A luxury hilltop lodge will accommodate family members and friends for a wedding, members of your corporate team, or attendees of a church retreat. Our Mission is to improve the health and welfare of animals in Powell County, KY by providing direct and indirect support to the animals and the staff who care for them at the Pound. We are a group of animal lovers dedicated to saving the lives of companion animals. We coordinate with the Powell County Dog Pound to place as many animals as possible in temporary foster care so that we can arrange for rescue. Our generous volunteers provide a home setting where the pets can experience love, warmth and comfort while being socialized, trained in basic obediance as well as housebreaking.